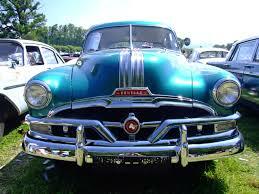 Do you have a collectible car and are looking for collector car storage in Dallas. We have your answer here at Dallas Car Storage. We can store that collector car or that motorcycle you take for a spin when it is warm weather or that foreign car you do not want to get sun damaged or weathered. All of our storage is indoor auto storage of Dallas. No need to worry if you need long-term auto storage of Fort Worth can accommodate that as well. We offer long-term car storage in Dallas for those of you that do not want to just rent a space for a short time like a seasonal storage. If are looking for antique auto storage we offer that as well just give us a call so you can set up an appointment with our leasing manager so he or she can show you the facilities and what we have to offer. Our antique auto storage is in Tarrant County so you do not have to go far to store that beautiful antique car you worked your life saving up for. Our locations do have top of the line security and seven-day access to that beautiful car or motorcycle we are storing for you.